Organize the best Raksha Bandhan you have ever celebrated by ordering online this Yummy Pack of 18 pcs. Chocolate with Rakhi which arrives with a free Rakhi, Roli Tilak and Chawal. Amaze your brother with the sweetness of this 18 pcs. 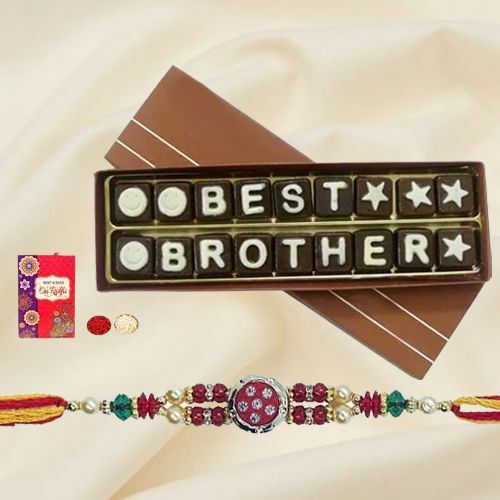 Chocolates embossed with Best Brother and stay in his heart forever.